Airport is a small airport with a big personality and it has been renowned for being the world’s cosiest and the most passenger-friendly airport. 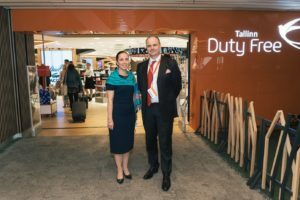 Our partner, The Design Solution has prepared an interior design that reflects the homely feeling we want people to have when they start or end their adventure at Tallinn Airport. The shop and its unique design give the passenger a taste of Estonia by integrating traditional elements of Estonian culture with leading edge technology and using local natural materials like birchwood in the interior. 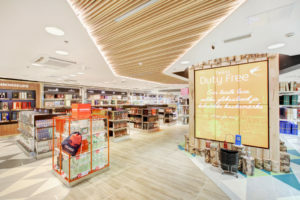 Baltona’s Duty Free shops at Tallinn Airport offer a cross-category coverage of perfumes and cosmetics, tobacco, confectionery and liquor as well as fashion, accessories and jewellery segments. The retail range is further supplemented by a selection of and a range of local specialities, including fine foods, souvenirs and traditional Estonian products.